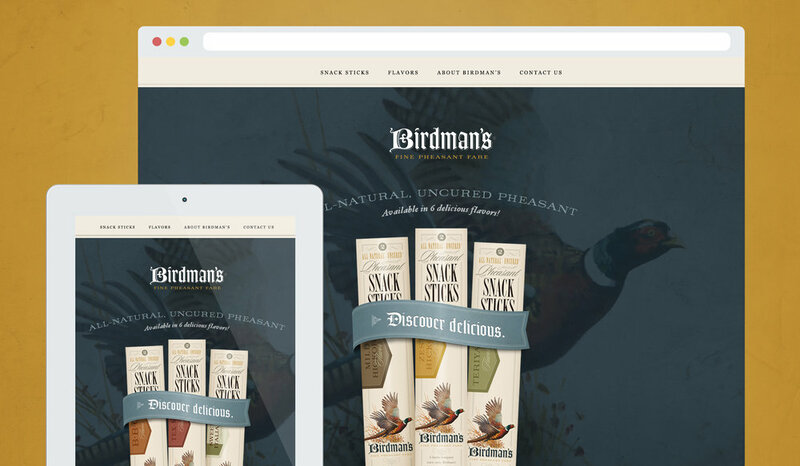 Birdman's Pheasants — Punch Design Co. 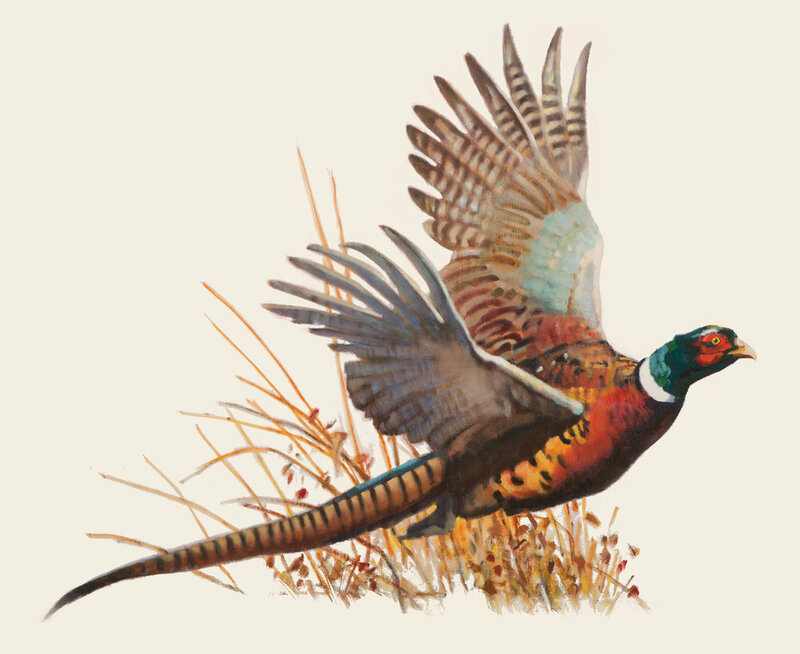 Since 1969, the Toubl family has produced thousands of pheasants, wild turkeys, and partridges for hunting, gourmet meats, dog trainers, wildlife restorationists, and taxidermists. They were one of the largest Wild Turkey producers in the Midwest for more than 30 years and the largest Afghan Whitewing Pheasant producer in the US for more than 20 years. 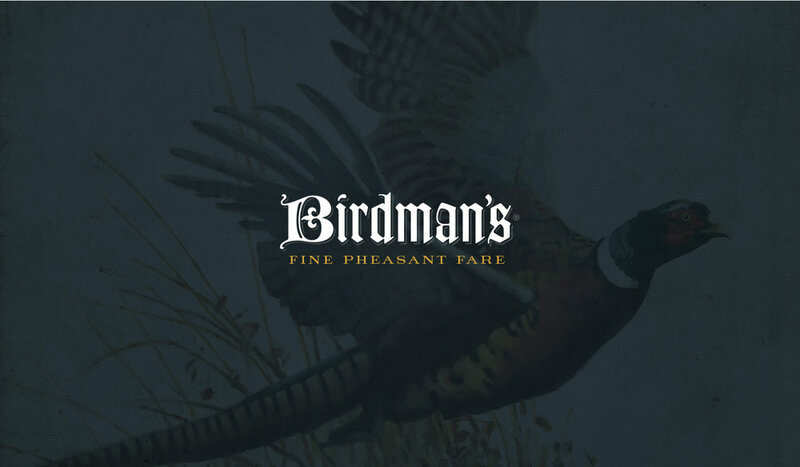 In 1983, they began developing their own specialty foods to provide a large array of quality food products for those who love game birds. 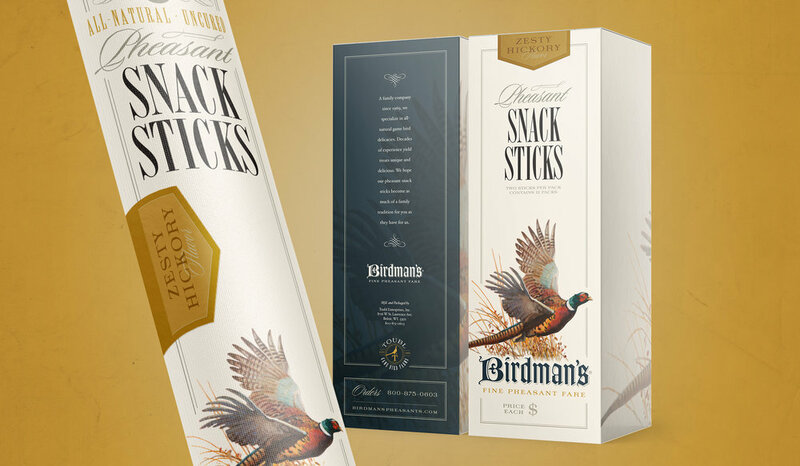 The family had designs on entering a higher-priced market, and a packaging update was essential to communicate the unique value of the specialty product. 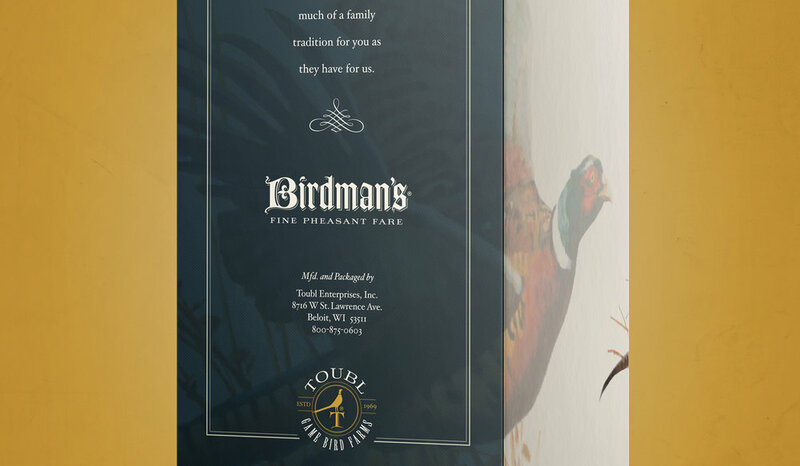 In addition to working with a local nature oil painter to create the now-signature pheasant, we developed a color-coded system of flavors across product lines, and a packaging system that allows entrance into a retail market, and price bracket, never before considered by the family.